Find our cutting-edge products with highly competitive pricing here or call our expert advisers today on +44 1460 256 100. Designing for a specialist product? Our range includes components perfect for automotive, military, and extreme environments. You can find all our recommendations within our resources section. Contact our team today with your enquiry. Whether you need free samples, fast delivery, CAD models or engineering test services, we can help. Contact our team today about our engineering facilities and prototyping offers. Looking For An All-In-One Timing Solution? Golledge is a leading supplier of frequency control products, including quartz crystals, oscillators, TCXOs, VCXOs, OCXOs, RTC modules, crystal filters, SAW filters and SAW duplexers, to the worldwide electronics industry. Built on a reputation for the highest quality products coupled with meticulous attention to detail, the Golledge service is at the very heart of our business. We're very proud to be able to offer products with cutting-edge technical specifications, in combination with the highest quality service from both our core headquarters team, and our network of worldwide distributors. Whatever your business needs, be it flexibility to perform JIT (we meet over 99% of rescheduling requests), industry-specialist component testing, or custom commercial solutions such as purchase and flexible stocking options, we can help. Speak to us today by calling +44 1460 256 100. We make sure you have access to fast, thorough support with your own dedicated account manager from our experienced and diligent team. Our team members have a wealth of industry experience, are caring in their support, and creative in their solutions. They'll make sure you get what you need to complete your project, fast. We can offer support for every stage of your project, from market research to prototyping, pre-build to full-production. We also have a specialist engineering department who can offer product specification and implementation advice. Find more of the benefits of using Golledge as your frequency control partner here, or contact our sales team for more details on how to set up your account. If you're designing for the defence sector, or for a project operating in harsh environments, then check out Golledge's April newsletter, featuring our recommended frequency products for defence, aerospace, and extreme environments, in addition to your chance to get free tickets to the PCB Design & Manufacturing Live exhibition on 9th May 2019. Our 2019 New Design Focus catalogue is now available! Check it out in our February newsletter here, along with the launch of two brand new 100kHz oscillators, the OM0100C8 and OV0100C8, and a new ultra-low power RTC, the RV8263C7! Find our 2019 New Designs Product Catalogue here, featuring updates to our range and all the frequency components we recommend for new designs in 2019. Download the catalogue here or speak to our team on +44(0)1460 256 100 today for more information. We wish you all a very merry holiday season! Check out our December newsletter for all our latest updates, including our Christmas shut down dates, newly released real time clock module RV3028C7, upcoming ultra-miniature TCXO the GTXO-163, and our Diamond Payroll Giving Award! 2018 has been an exciting year for us at Golledge, you can read a summary of our year here including our product introductions, service updates and charitable giving. Coming soon we have the GTXO-163 ultra-miniature temperature compensated oscillator. Available from Q1 2019, this temperature compensated oscillator is ultra-miniature with a footprint of just 1.6 x 1.2mm, making it suitable for the most size-sensitive of applications. Find more information here. Including Golledge component CAD libraries, our latest whitepapers, and frequency component recommendations for a host of our most prominent industries, you can find all you need to ensure you have the timing components you need for your latest design here. If you need a supplier who will work as hard as you do to bring your project to life, you've found the right team. Whether you need pricing support for ramp-up projects, JIT delivery options, buffer stock holding or flexible account terms, we can help. Our team are always creative and flexible when considering your project and we will do our best to meet your needs every time. With priority delivery as standard and an average 3 hours dispatch turnaround time, you can see why our customers praise our logistics service. You can find out more here. Our product search makes it easy to find the component you need, and our streamlined quotation process means you don't need to spend hours researching components and compiling your quote. Give it a try here today. We specialise in making sure you have everything you need to get your latest project off the ground and for our design clients that means making sure you have access to the components you need to complete your prototype. We offer 10 samples free of charge, with free delivery, for each component you need if you register with us as a designer. Registration is simple, just speak to a member of our team today about your latest project and we'll make sure you get the samples you need. We also have a specialist engineering department who can offer product specification and implementation advice. If you're interested in our design support or have a project that you think could benefit, you can find more information here or speak to a team member today by calling +44 1460 256 100. The Golledge team have an average of over 10 years individual industry experience, with many team members having been part of the frequency industry for over 30 years. 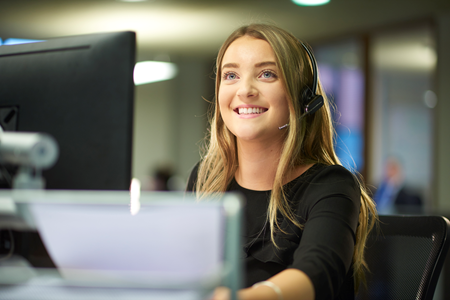 As a business we've been answering your frequency product questions for over 25 years, and our high level of experience means we're often able to offer a solution when other suppliers cannot. 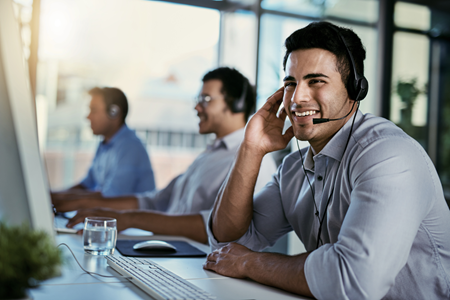 If you need a fast accurate answer to a query, urgently need a second source, or need another supplier cross-referral fast, please speak to us now by calling +44 1460 256 100.